When fear paralyzes us, how do we react? Do we listen for the words whispered in our ears? Get up and start walking. When worry saps our strength, why do we shoulder blame that is not ours? Do we turn to the one who can handle all our apprehension? Get up. Take your bedroll and go home. When fear paralyzes us, how do we react? Do we believe the healing words of Christ who says: Get up and start walking. When anxiety steals our serenity, who among us turns to the Creator for help? Who better to do the impossible? Get up. Take your bedroll and go home. When darkness overcomes us, what light do we find? Who else but Jesus the Christ? Get up and start walking. Get up. Take your bedroll and go home. When trouble assails us and shatters our calm, do we have the faith to rise, to take up the circumstances that have held us away from God, and to go home. When we compare varying versions of these verses, we find healing for all that paralyzes us. I am struck by several things as I read this chapter in isolation from the rest of the text: in Ezekiel’s vision of the New Jerusalem, the faithful make offerings each morning, the princes are to provide for their sons from their own resources rather than the resources of the people, and the temple offerings are cooked in the temple kitchens to prevent the risk of transmitting holiness to the people. Commentaries give us important information that puts the writing of this priest-in-exile in context for us. Ezekiel, as we can see by his calling the secular celebrant prince rather than king, is clear about the importance of cultic authority over the secular. (Barton and Mulliman 562) The downside of this is, of course, that priests – be they Levites, Zadokites or princes – serve as intermediaries for the people . . . keeping God’s holiness apart and reserved for the specially anointed. We live in the Messianic Age, a time at which our high priest has come to walk among us as one of us. 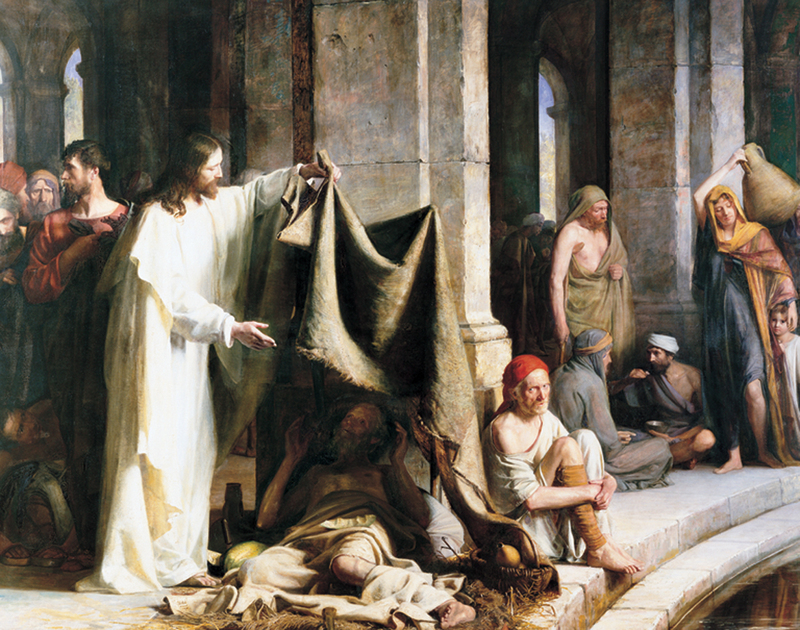 This priest, Christ, has torn down the temple to rebuild it in three days. He grants access to all who seek authentic intimacy with God. He comes to break down the barriers between God and man . . . and to transmit holiness to the people. As we rise each morning, we – like the Levites, the Zadokites and the princes before us – run the risk of allowing the demands of everyday life to erode this intimacy with God. As we attend to our needs and wants, we run the risk of entering into a mechanical relationship with God – one in which we fulfill a requirement but leave our hearts and minds elsewhere. Meeting deadlines, replenishing resources, tending to a million little tasks each day are activities which are necessary but which must be kept in proper perspective. For there is no joy that lasts but for the joy we know in loving God with body, mind and soul. When we commit to praying at regular times each day, as we might if we pray the Liturgy of the Hours, we find that we have opportunities to offer both our anxieties and gifts of the previous day back to God. If we able to lay to rest all our worries and anxieties of that present day, we need not carry them into the next. Children, grandchildren, friends, family, house chores, car chores, appointments, work . . . all of these we are better able to see as gifts from God, as this is what they truly are. And all of our anxieties and worries about these gifts, we offer back along with our best attempts to do the best we are able in each circumstance. Offerings . . . burnt sacrifices from our lives . . . these we offer to God each day. Yet what our gracious and loving God truly desires is our clear and open hearts, hearts that are broken and dispirited and are ready to know true and lasting joy, hearts ready to take him in, ready to make a home for the Spirit. Sacrifice and offering you do not want; but ears open to obedience you gave me. Holocausts and sin offering you do not require; so I said: “Here I am”; your commands for me are written in the scroll. Psalm 40:7-8. Those who offer praise as a sacrifice honor me; to the obedient I will show the salvation of God. Psalm 50:23. For you do not desire sacrifice; a burnt offering you would not accept. My sacrifice, God, is a broken spirit; God, do not spurn a broken, humbled heart. Psalm 51:18-19. For God remembers your every offering, graciously accepts your holocaust, grants what is in your heart, fulfills your every plan. Psalm 20:5-5. Amen. Barton, John, and John Muddiman. THE OXFORD BIBLE COMMENTARY. Oxford, UK: Oxford University Press, 2001. 562. Print. Adapted from a Favorite written on January 29, 2009. John reminds us that the one sure antidote against fear is love. John tells us that the power of love overcomes the power of evil, always. John reminds us that all love that emanates from God has the power to heal and transform. John tells us that as we grow in love and in Christ, we no longer are a harbor of fear. Throughout Christmastide, we continue to reflect on the confidence God’s words bring to us, “There is no room in love for fear”. The prophet Jeremiah reminds us that we need not be afraid even in the long and wearying times of violence and war. Centuries after Jeremiah gives us these words, God continues to be our deliverer, our savior, and our ruler against the kings and powers that threaten our very existence. God tells us, through Jeremiah, that we cannot fear the atrocities we witness and we cannot cower in the face of annihilating forces that wipe out peoples and cultures for God continues to walk and live among us. 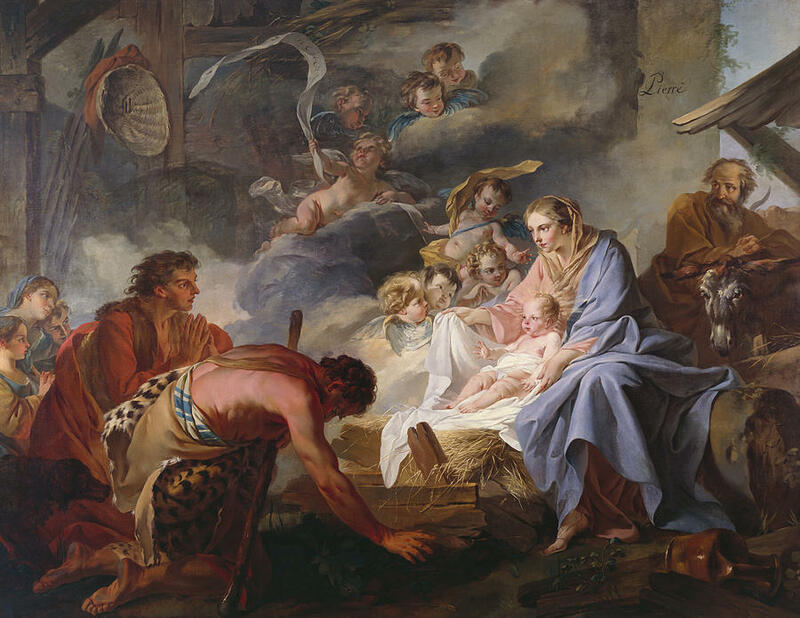 The child Jesus is the new ruler who governs us for more than an earthly time of war. The child Jesus invites us into a new, inverted, eternal kingdom where the marginalized are the center of the universe. Today we might ask, “Where do we put the fear that takes hold of us when we witness chaos and carnage? How do we calm our anxiety when we experience outrageous acts against nature and the peoples created by God? When we listen to the voice of Jeremiah, we find that our fears dwindle, and we remember that God’s promise is already with us leading, guiding, saving. Throughout Christmastide, we continue to reflect on the many ways God says to us, “Do not fear. I am here with you always”. This advice goes against the grain of modern society. Smartphones bring an Internet of knowledge to our fingertips; they also bring false reports and charlatans. Our egos want to depend on data provided by polls and surveys; and these data may lead to inaccurate conclusions and foolish decisions. Power and fame, accolades and wealth bring false confidence; and none of these protect us as does the wisdom of Jesus. None of these can save as does the Living God. Anxiety brings us false worry. Faith in the wisdom of the Spirit brings us hope. Anger affirms false power. Love brings us the eternal peace of Christ. When we use the scripture link and drop-down menus to explore varying translations of these verses, we find new reason to reason to remember the wisdom and promise of Christ. When we weigh Jesus’ words with intention, we find that they speak to us today. When we allow Jesus’ words to rest in us, we discover that they have specific meaning for us now. When we look for answers in days of peril, we are always answered, never abandoned. What does Jesus advise in times of trial? We must witness, watch and wait. We must not be fooled or mislead. We must not worry; we must put aside anxiety. When one comes among us claiming to have all the answers, we must be careful. When one comes among us claiming that the end is near, we must reject fear. These are soft words for hard times. Clear instructions for days of confusion. Loving reminders that we are not alone, that we are cherished, that we are loved. All we need do is . . . witness, watch, and wait. When we compare varying versions of these verses, we hear Jesus’ voice, we feel God’s presence, we are healed by the Spirit’s love.